Roger Federer has pulled out of World Tour Finals final match against Novak Djokovic. Federer personally made this announcement at O2 arena, 20 minutes before the start of his final match against Novak Djokovic. 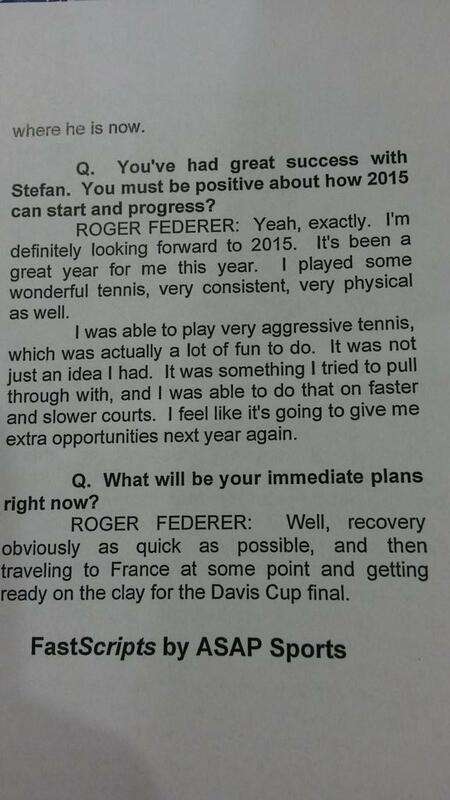 Federer made this announcement 20 minutes before the start of the final match. 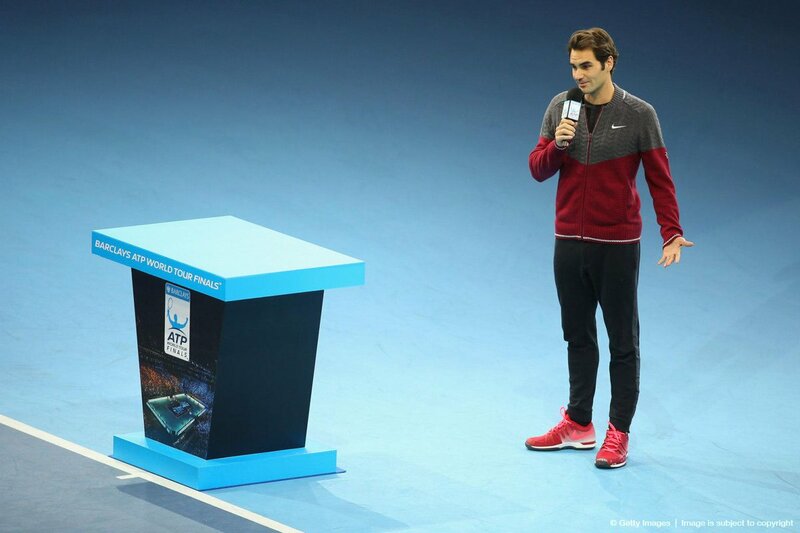 "Unfortunately, I'm not match fit to play the match tonight," said Federer on court. "Clearly I wish it wasn't so. I tried all year to be ready for the ATP World Tour Finals, and I didn't want it to end this way. I tried everything I could last night, also today – painkillers, treatment, rest, so forth, warm-up, until the very end – but I just can't compete at this level with Novak. It would be too risky at my age to do this right now and I hope you understand. "I wanted to come out personally and excuse myself. It's been a great week for me. I played some great tennis and I love coming to The O2 and to London, and there's been so many great memories for me here. 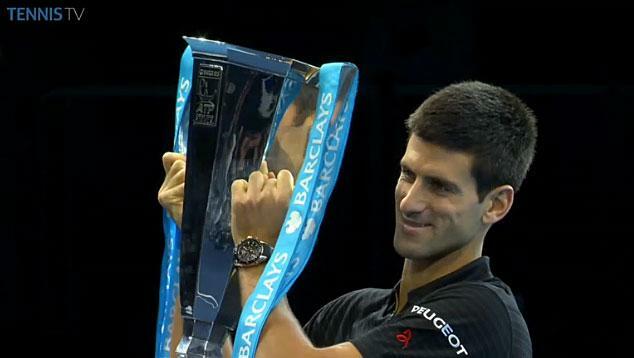 Congrats of course to Novak, who’s played an amazing season, and an amazing tournament here as well. I hope we can play some more great matches, hopefully next year. 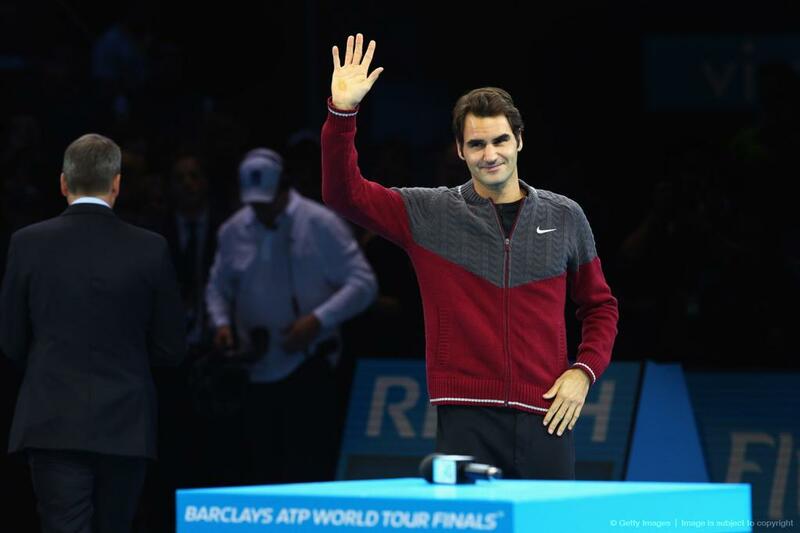 "Thanks to all you guys for making it special to come out and play tennis all around the world. I know you guys travel, as well, and spend a lot of money on tickets and so forth. We really, really appreciate it – me in particular. It keeps me going, it makes me tick, especially at this age. Hopefully, I can come back next year and get another chance to compete for the title here. So thank you very much and I'll see you soon. I appreciate it." It is only the third time in Federer’s career that he has been forced to withdraw, each time due to a back injury – also walkovers at 2008-Paris QFs vs. Blake and 2012 Doha SFs vs. Tsonga. 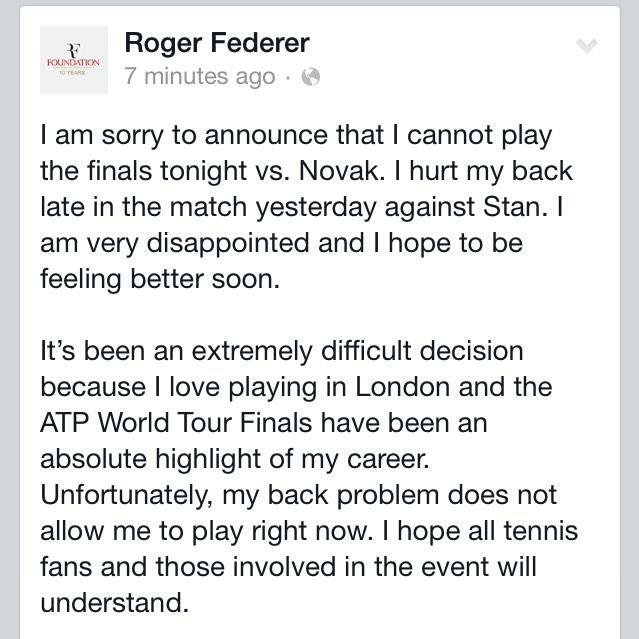 I am sorry to announce that I cannot play the finals tonight vs. Novak. I hurt my back late in the match yesterday against Stan. I am very disappointed and I hope to be feeling better soon. It’s been an extremely difficult decision because I love playing in London and the ATP World Tour Finals have been an absolute highlight of my career. Unfortunately, my back problem does not allow me to play right now. I hope all tennis fans and those involved in the event will understand. It remains to be seen if Federer will play in the Davis Cup final starting from Friday. From all of us, here's wishing a quick recovery to the Swiss maestro. Scroll down for the video and more updates. For the video of Federer's announcement, click here. Djokovic during his trophy presentation ceremony, "I'm so sorry for Roger.I wish him all the best for the Davis Cup. Roger and Rafa are great competitors. If he could have come and played he would." What's up with the ATP and their audacity to schedule the Top 8 Players in the world in such a manner that requires them to have to play back-to-back semis and finals at such a high intensity level of play which is required in such a top tier tournament life the WTF. It's completely possible that Roger would have had time to recover and play that final had he had a day in between to recover. Is the desire for $$$ (e.g. TV scheduling and advertising prime spots) more important than the health and welfare of the players in specific and the game of tennis in general? No question that there will be more SAD endings to tournaments in the future unless someone has the guts to make these type of necessary changes in the scheduling of matches. What complete idiocy - ATP Powers that Be - please get your act together. But would that be fair to Kei Nishikori? These are very unusual circumstances and my heart goes out to Roger. The severity of his problem probably only became apparent after the match. As we saw Stan was suffering with cramp at the end. That was a gruelling match. To be expected to play a final against another top class player in less than 24 hours would be tough at the best of times. As difficult as this is, Roger's health must come first. He had much too many late evening matches this autumn. And maybe partaking in Bercy also had impact. Wish him abundance of love and care now, - so grateful for the sublime come-back this year. THANKS! Then I watched the video when he announced his withdraw.... oh God here I couldn't stop my tears, but that moment reminded me that one day Federer will retire!!!! Any info on Fed-Stan argument after semis?? I have read various rumours on Twitter and take them all with a very large pinch of salt. There are some people out there who love to cause trouble when the truth is far more mundane. In 2012 & 2013, World Tour Finals started on Monday. As, there was no week's rest after Bercy. Read that full post right here.